You know a task that travels from one to-do list to the next is something that you need to avoid at all costs. The scary part is how totally non-specific I was. If the list said something like “vacuum” or “fold laundry” then it wouldn’t seem so bad: those are small, tackle-able tasks. But my house is in such a state that I can look in any direction and find something, anything, to clean. My kitchen is a complete disaster. I kind of feel like a human tornado. We are officially entering my favorite part of the year, the part where everyone else in the world finally recognizes that we should be listening to Bing Crosby and baking cookies all day every day. But before I get ahead of myself on Christmas cookies, we need to get our act together for Thanksgiving! Last week I posted this Brown Butter Cranberry Tart (dessert first, always) and this Broccoli with Feta and Fried Almonds, or, The Best Broccoli I Have Ever Put In My Mouth. But today we are talking jello. Wait! Come baaaaack! This jello’s got the goods, I’m telling you. I know jello isn’t the sexiest side dish out there, (well, unless you are making jello origami cranes, but that’s a whole different story) but I’ve always loved a good jello salad, and if you can get over your foodie self for 5 seconds you will agree that they are freaking good. Especially alongside a plate of turkey. With this jello, you get plenty of fruit with every bite. 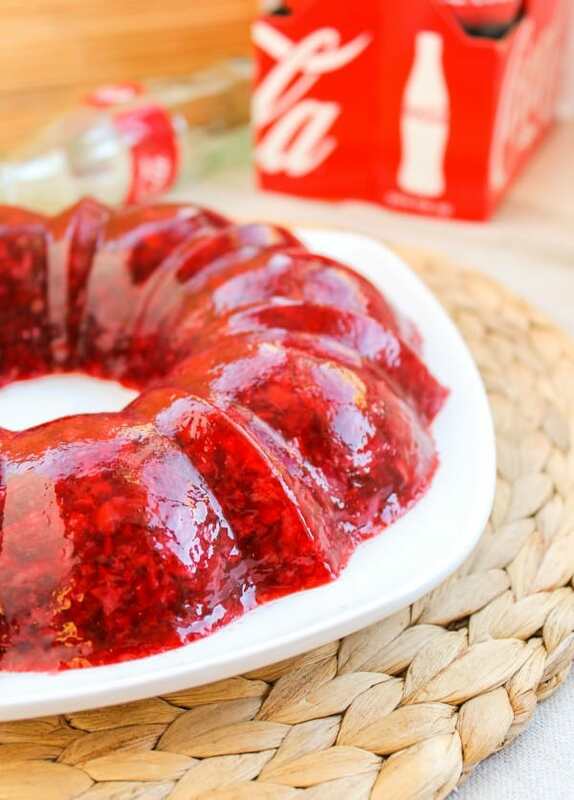 There are no bites of just-jello. I used a 12-cup bundt pan to form the jello in. 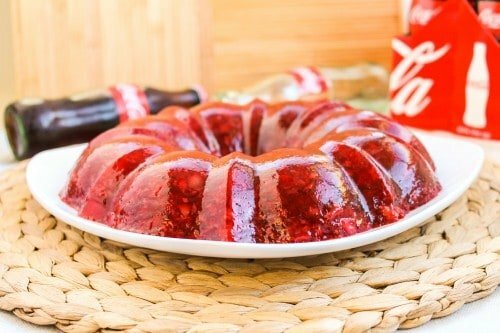 You can use a jello mold of course, or just a regular bowl, or simplify your life even more and just toss it in a 2-quart casserole dish. Easy. This jello is a great make-ahead side for Thanksgiving. Change it up! P.S. There are a couple tutorial shots after the recipe…just in case you don’t know how to make jello. I’m not patronizing you at all. Put some water in a saucepan and turn up the heat to get it boiling. 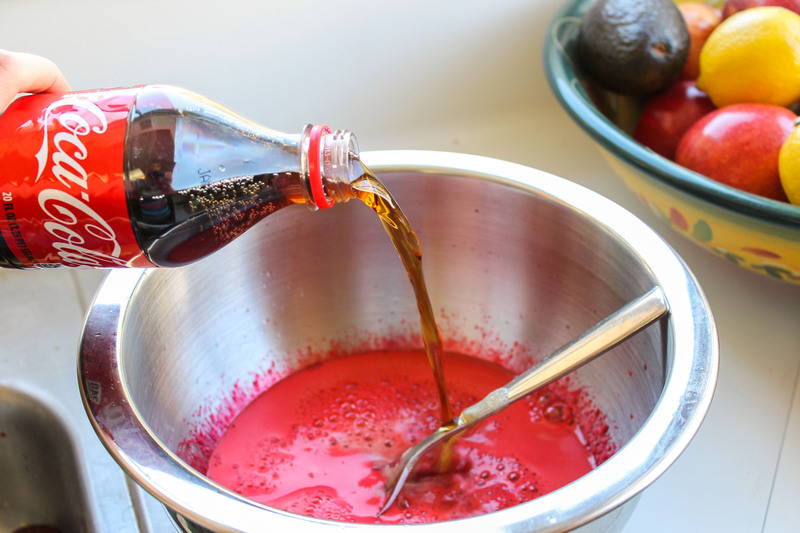 In a large bowl, add the package of Jello. 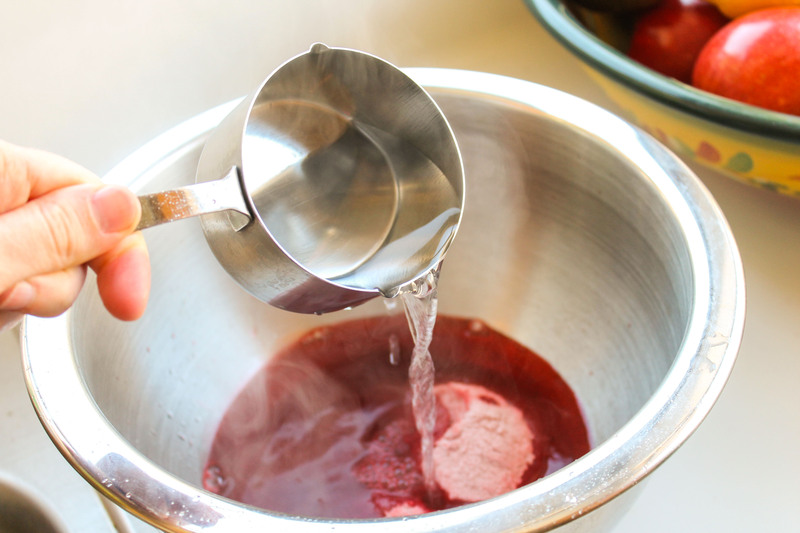 Once the water is rolling, pour one cup of the boiling water over the jello and stir until dissolved. Stir in the Coca-Cola. Cover and refrigerate mixture until partially firm, about 45 minutes. Stir the jello every 10 minutes or so; you want it a thickened but not set. Meanwhile, add the can of cherries to a food processor or blender. Pulse in one-second intervals, about 3-5 pulses, until the cherries are chopped into small pieces but not blended. 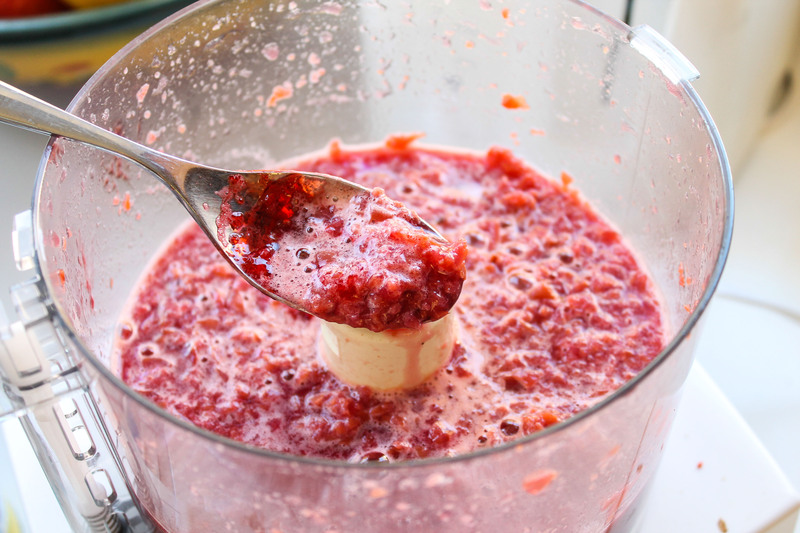 Once the Jello mixture has thickened, stir in the chopped cherries and it's juice, pineapple and it's juice. 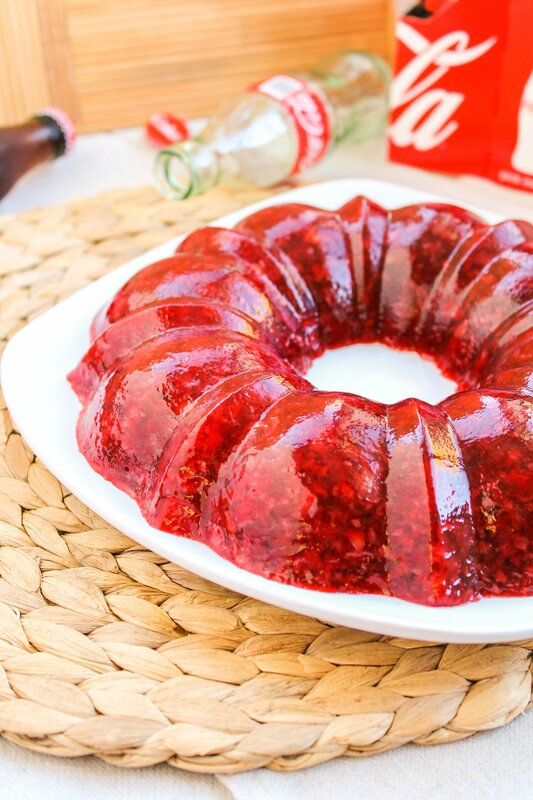 Pour into a jello mold, bowl, bundt pan, or 2-quart casserole dish. Cover tightly and refrigerate until set, at least 4 hours, overnight, or up to 2 days before serving. Remove salad from the mold by inverting onto a serving platter. Serve cold. If you made your jello in a mold, bundt pan, or bowl that you have to invert, place the plate or cake stand on top of the mold and turn it upside-down. If the jello does not budge, fill a large bowl with hot water. Dip the mold into the hot water for no more than 3-5 seconds at a time until the jello comes out when inverted. Stir all that jello in until it is dissolved. It kind of froths up when you pour in the Coke. See! Jello is fun! You want the jello to be semi-set when you add the fruit, so that the fruit doesn’t all sink to the bottom. These are the cherries. You don’t want to pulverize them, just chop them. 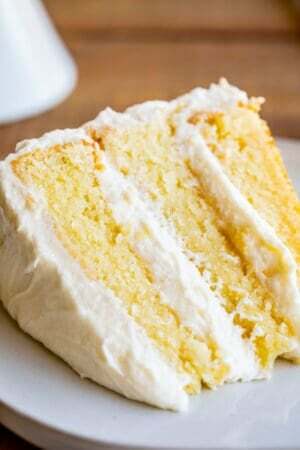 This recipe had been in my family for years! Every Thanksgiving and Christmas we have it. It’s delicious!!! We add a cup of chopped pecans to it. That is awesome Cyndi! 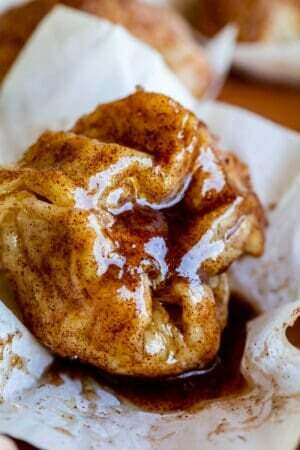 I love the idea of adding pecans! Thanks for sharing! This has been a family recipe for over 60 years…my only addition would be pecans, chopped and I’m guessing that it is because family roots stem from Oklahoma where pecans are plentiful. 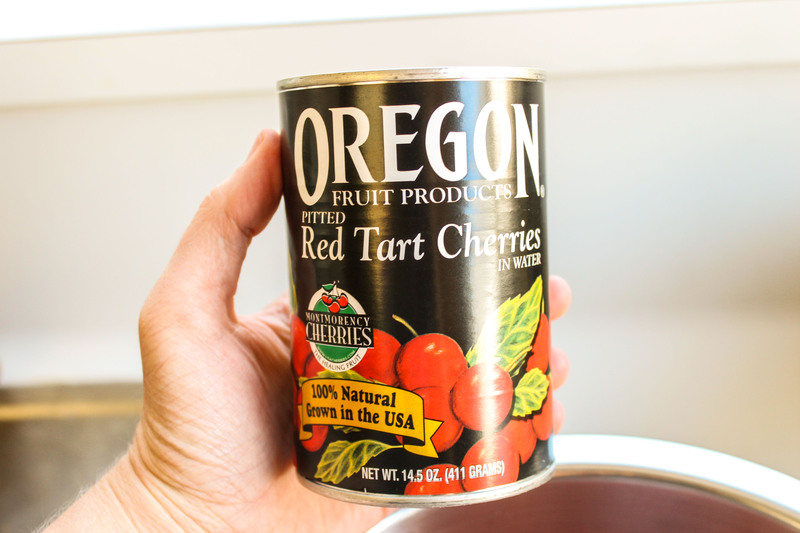 We also use cherry pie filling and decrease water by 1/2 cup. 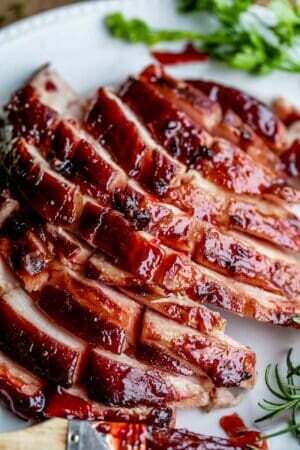 It’s served with the dinner, usually turkey, poultry, pork or ham. 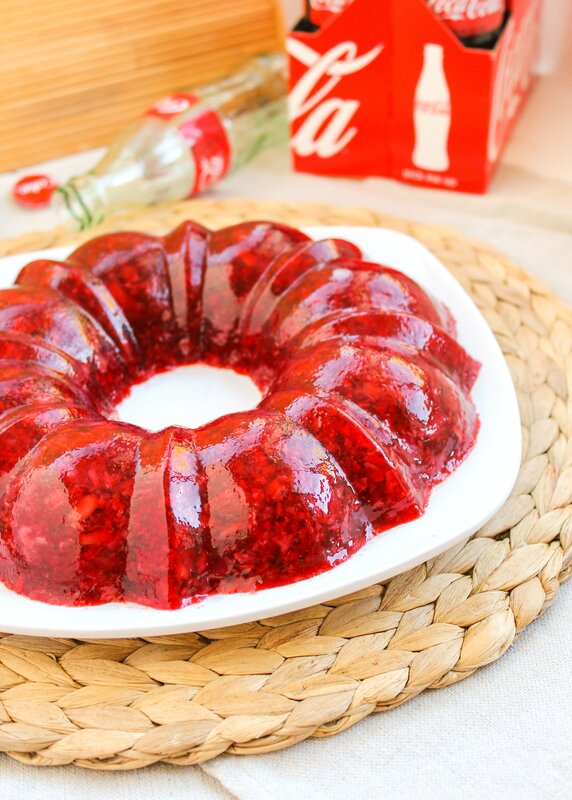 Relatives needing a sugar less diet have substituted Diet Coke and sugar free jello and have enjoyed just the same. That is awesome Sandrina! 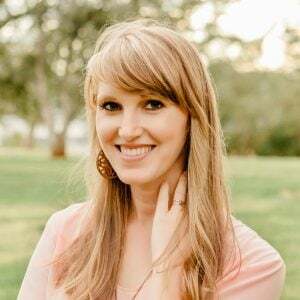 Great tips, I love the sugar free idea. Thanks for commenting! ANY SUGGESTIONS FOR REPLACING THE RED TART CHERRIES WITH ANYTHING ELSE?? Hey Maricruz! 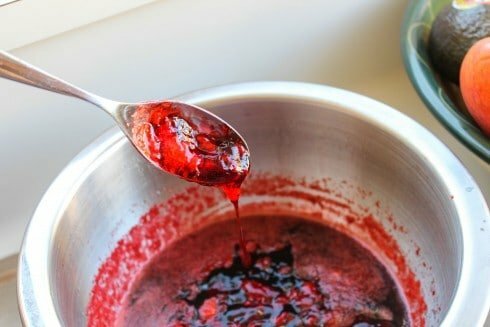 You can use any type of canned fruit that you like! Or fresh strawberries will work. Great, thanks will do that! For the cherries, do you drain them? Thanks for your help! Yay for sugar free! I will definitely try that next time. And good to know that the pecans were okay. I’ve never tried it with pecans because nuts in jello kinda freaks me out, haha! But maybe I will try it. Thanks so much for commenting Sarah! What a fun way to eat salad! Jello makes everything better. I love that there is coke in this! Thanks Chels! It was so good. The coke gave it just a hint of sparkle. Okay, what is it with South Americans and adding beets to weird stuff? I saw that in Peru too. 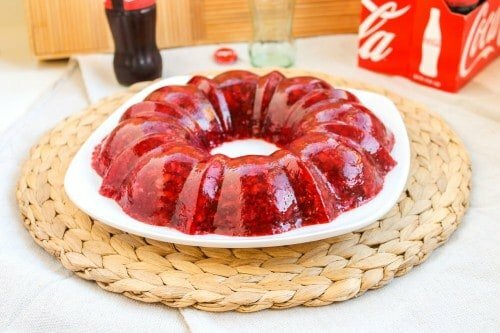 I’m sorry for your (completely understandable) jello aversion, because this one is awesome. At least it doesn’t have beets in it. 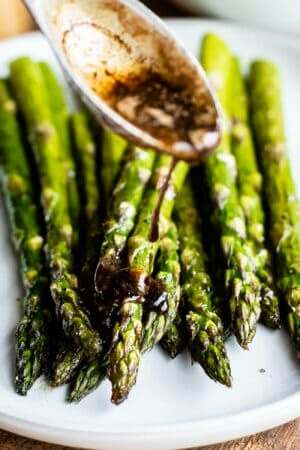 Fun recipe, and I love your pics and writing style. Thanks for making me smile! Thanks Gin! You’re too kind. I just checked out your blog, I totally want to try that cranberry bread you just posted! Looks awesome. Happy Thanksgiving! I’m so glad you enjoyed my Coca-Cola salad and made it for your family. Have a wonderful Thanksgiving and holiday season! Thanks again for the recipe Renee! Happy holidays to you too! It’s a Southern thing, Laura, I had never heard of it either. It’s good! Try it out!